UPDATE 2 (Aug. 10): The final numbers are in and are even higher than the updated projections suggested. Travis sold an incredible 553,408 copies of Astroworld first week with 270,355 of those as pure sales, putting him firmly at #1 on the charts. Huge congrats are in order! UPDATE (Aug. 6): The projections have gone up considerably. HDD is now reporting that the album will move 450-500k copies with a massive 170-195k coming from pure sales. 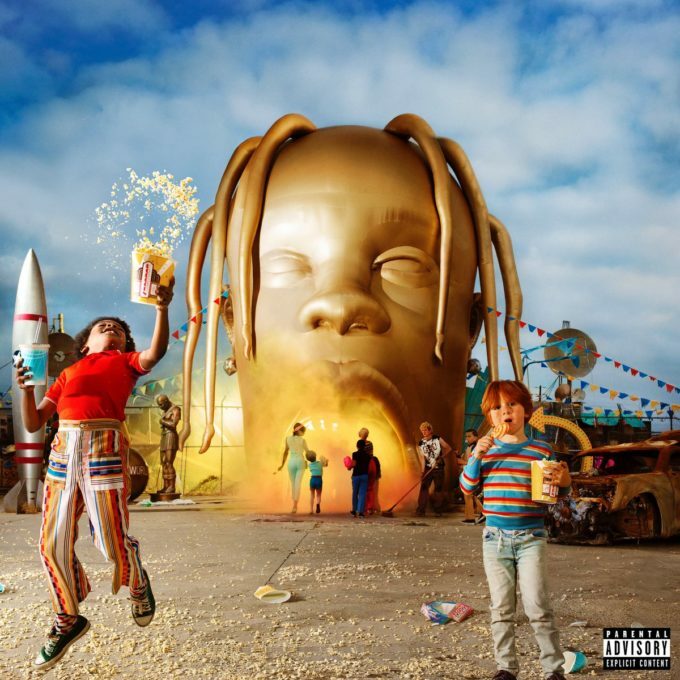 Travis Scott released his new album Astroworld on Friday under not so favorable circumstances as far as hit music prior to the drop was concerned. His single ‘Watch‘ with Kanye West and Lil Uzi Vert failed to make an impact but if you thought he was a kind of artist who was depending on a big single to launch his album, you were dead wrong. The first week sales projections for Astroworld are in and they are big. HDD projects that the set will move 300-400k copies in the first week with about 45-65k out of that coming from pure sales. These are astronomical numbers for sure and if they stick, it puts Travis in the A league without a doubt. For comparison, his last album Birds in the Trap Sing McKnight moved just 88k copies in the first seven days. Songs from the album are doing extremely well on streaming services, as we would have guessed. Travis is occupying 17 of the Top 20 spots at Apple Music and 17 of the Top 25 on Spotify U.S. at the moment. Congrats to him. Watch Travis perform ‘Carousel’ and ‘Sicko Mode’ feat. Drake for the first time at the Osheaga fest in Montreal here.